1. Use the Base and Contingency Technique for Estimating Tasks by Time. Base – it’s a minimum expected amount of time required for completing a task when everything goes well. Contingency – it’s an amount of trust put on Base when risks are calculated and considered. It’s expressed as a percentage of Base. A figure of 10% -20% is quite normal to most tasks. Use the risk register of your project to define risks and then take them into account when estimating Contingency per task. Decompose your project into a list of estimable, low-level tasks. Define Base and Contingency for each task. Historical data, experience gained from previous projects and expert advice will be ways for estimating these parameters. Make a time estimate per task based on the parameters. Aggregate all the estimates into the total time estimate. Use this estimate to figure out Contingency for your entire project. Use time estimates to plan durations and timeframe for your tasks. 2. Use Historical Data and Experience for Estimating Tasks by Performance. Review tasks of your previous project. Compare planned performance to actual performance of the project. Define any deviations between the values. Investigate what steps could be taken to minimize such deviations and produce the previous project according to planned performance. Make an appropriate action plan with reference to such steps. 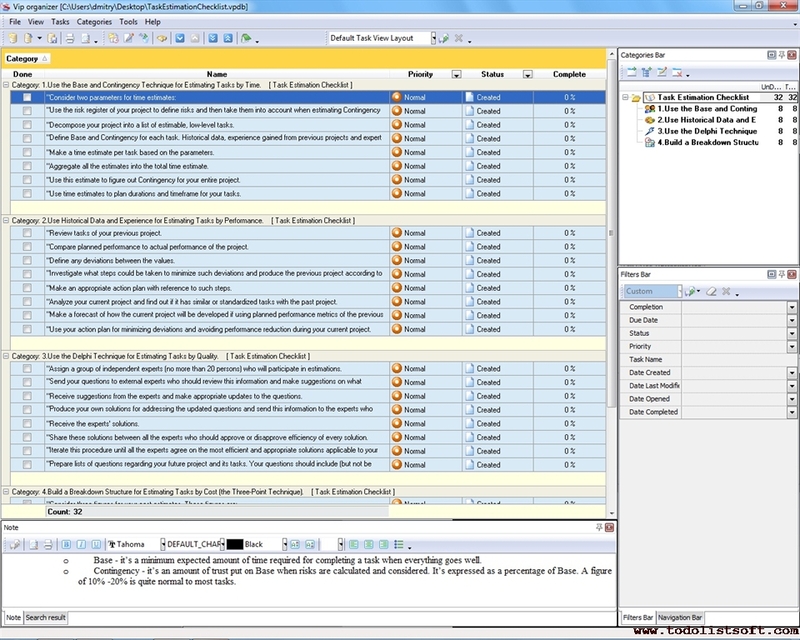 Analyze your current project and find out if it has similar or standardized tasks with the past project. Make a forecast of how the current project will be developed if using planned performance metrics of the previous project. Use your action plan for minimizing deviations and avoiding performance reduction during your current project. 3. 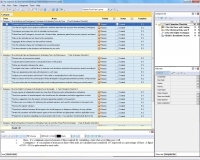 Use the Delphi Technique for Estimating Tasks by Quality. Assign a group of independent experts (no more than 20 persons) who will participate in estimations. Send your questions to external experts who should review this information and make suggestions on what questions can be removed or improved. Receive suggestions from the experts and make appropriate updates to the questions. Produce your own solutions for addressing the updated questions and send this information to the experts who should independently investigate your solutions and propose their own solutions (if any). Share these solutions between all the experts who should approve or disapprove efficiency of every solution. Iterate this procedure until all the experts agree on the most efficient and appropriate solutions applicable to your project. 4. Build a Breakdown Structure for Estimating Tasks by Cost (the Three-Point Technique). Use the figures to calculate a weighted average (E) for every estimate and define a standard deviation (SD). Decompose your project into a list of estimable tasks. For example, you can build a Work Breakdown Structure (WBS) with work packages. Calculate E for every cost estimate per task listed in WBS. Calculate SD for every cost estimate per task listed in WBS.